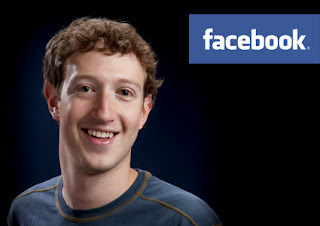 Facebook Inc's $16 billion initial public offering has made 28-year-old Mark Zuckerberg the 29th richest person on Earth. Facebook, the world's most popular social networking company, sold 421.2 million shares for $38 each. At that price, the 503.6 million shares and options Zuckerberg owns are valued at $19.1 billion, making him wealthier than Google Inc co- founders Sergey Brin and Larry Page, according to the Bloomberg Billionaires Index. "Zuckerberg doesn't think about his wealth," David Kirkpatrick, author of "The Facebook Effect," a history of the company, said in an interview on May 17. "This is a huge success for everybody. There's no way it can be seen otherwise." Facebook's chief executive officer started the Menlo Park, California-based company for Harvard University classmates as a 19-year-old in his dorm room. 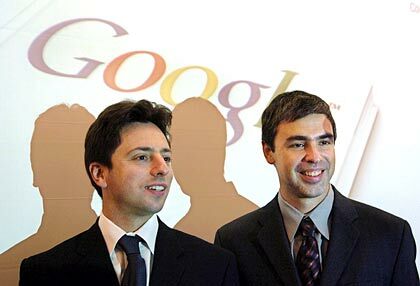 It now has more than 900 million monthly users and generated $3.7 billion in revenue in 2011. Zuckerberg sold 30.2 million shares for $1.15 billion during the offering. Most of the proceeds will be used to pay the taxes associated with exercising 60 million stock options. Facebook's $104.2 billion valuation crystallizes the fortunes of the company's three other co-founders. Dustin Moskovitz, 27, who roomed with Zuckerberg at Harvard, is now worth $5.1 billion. He owns 133.7 million shares of the company's Class B stock, and will sell 7.5 million shares if the underwriters exercise their option to buy additional stock. Moskovitz, the company's first chief technology officer, left the social network with Facebook colleague Justin Rosenstein in 2008. The duo founded Asana Inc., a task management software company. The company received $9 million in funding from venture capital firms Andreessen Horowitz and Benchmark Capital in 2009, both of Menlo Park. Eduardo Saverin, 30, has a $2.7 billion estimated fortune. He owned about 4 per cent of the company's outstanding shares prior to the offering, according to whoownsfacebook.com, which is published by Massinvestor Inc. and draws its information from Facebook's filings with the SEC, press releases, news reports and other publicly available sources. The Brazil-born Facebook co-founder renounced his US citizenship last year and is now a permanent resident of Singapore. Saverin's move could save him $67 million in federal taxes, according to data compiled by Bloomberg. Saverin declined to discuss his stake in a telephone interview from his home in Singapore. Co-founder Christopher Hughes, 28, owns about 22 million shares of Facebook, according to a person familiar with his holdings who asked not to be named because the matter is private. At $38 per share, his stake is worth $836 million. Hughes, who bought the Washington, D.C.-based magazine the New Republic in March 2012 for less than $5 million, has more than $100 million in cash and real estate after selling some of his Facebook hoard, according to data compiled by Bloomberg. Facebook shares would need to rise 7.9 per cent to $41 for Hughes's fortune to crest 10 figures. processing software, and Valar Ventures Management LLC, a venture fund that invests in New Zealand and Australian companies. The name of each of those entities was inspired by the writings of J.R.R. Tolkien. Thiel was brought to Facebook by technology entrepreneur Sean Parker, who met Zuckerberg at a Manhattan restaurant in 2004. He persuaded Zuckerberg to move to California to focus on the company full time. The 32-year-old Parker has a $2.8 billion net worth, and will sell 10 million shares if the underwriters exercise their option to purchase additional shares. Zuckerberg hired Parker, who had co-founded the Napster Inc. file sharing service with Shawn Fanning in 1999, as its first president. Parker left Facebook in 2005, after police found cocaine at a North Carolina beach house where Parker was hosting friends on vacation. No charges were filed. The offering made Facebook's chief operating officer Sheryl Sandberg a billionaire. Sandberg, 42, who was lured from Google in 2008, owns 27 million shares, including 25 million restricted stock units that have vested. She also owns more than 14 million unvested units that aren't counted in her net worth calculation. At the offering price, her vested stake in the company is worth $1 billion. Sandberg also owns small stakes in Starbucks Corp. (SBUX) and Walt Disney Co. (DIS); she is a director at both companies. Facebook's offering further elevated Mark Pincus, the founder of Zynga Inc. (ZNGA), the world's largest social gaming company, in the billionaire ranks. Pincus, 46, owns 13 per cent of Zynga, whose popular online games such as Mafia Wars and Farmville generated more than 10 per cent of Facebook's sales in 2011. Zynga shares are down more than 40 per cent since March. Alisher Usmanov, Russia's richest man, has an estimated 80 per cent interest in the 85.6 million Facebook shares held by certain DST Global funds. The DST Global entities are controlled by billionaire Yuri Milner. The funds sold 45.7 million shares in the offering and may sell more in the coming months, according to regulatory filings. Milner owns about 12.5 per cent of DST Global's Facebook shares and has a net worth of $1.1 billion, according to data compiled by Bloomberg. DST Global funds also owns stakes in Zynga, Groupon Inc. and Twitter Inc.
Usmanov -- whose most valuable asset is his 50 per cent stake in Metalloinvest, Russia's largest iron ore producer --has never met Zuckerberg. Facebook, which makes 85 per cent of its revenue from advertising, is valued at 25.8 times trailing 12-month sales, more than double Google's valuation when the search engine debuted in 2004.